Blogging For the Joy of It! Hello and welcome to the Calgary Children’s Choir blog! This will be a space where you can access all kinds of important and interesting information about the Calgary Children’s Choir, and our community. As many of you know, the choir now has a Facebook page, and Twitter account, as well as a LinkedIn company page! If you use any of these social media services, make sure to follow the Calgary Children’s Choir, so that you can keep up to date with all the latest CCC happenings! You can expect blog posts at least once a week, featuring content about choir news, the inner workings of the CCC community, as well as tips and techniques for the best vocal experience you can have with the CCC! We have started working on the Fauré Requiem, and it’s going well! For those of you wishing to practice at home, Cyberbass is a great resource! We are so excited to have parents, as well as alumni join us for this exciting concert. Our choir banquet this year will be held on June 2nd, 2013 and it will feature a silent auction! If you have any items you would like to contribute to the silent auction, please email Linda White! Choir uniforms do not need to be worn to the banquet (Yay!) and we encourage everyone to dress in smart casual attire, and to have fun with it! We are starting to get very excited for the upcoming tour, which will take our touring choir to France, and Spain! During that time, we will be featuring a tour blog, right here, where you can access daily updates, and pictures while our choir is on tour! 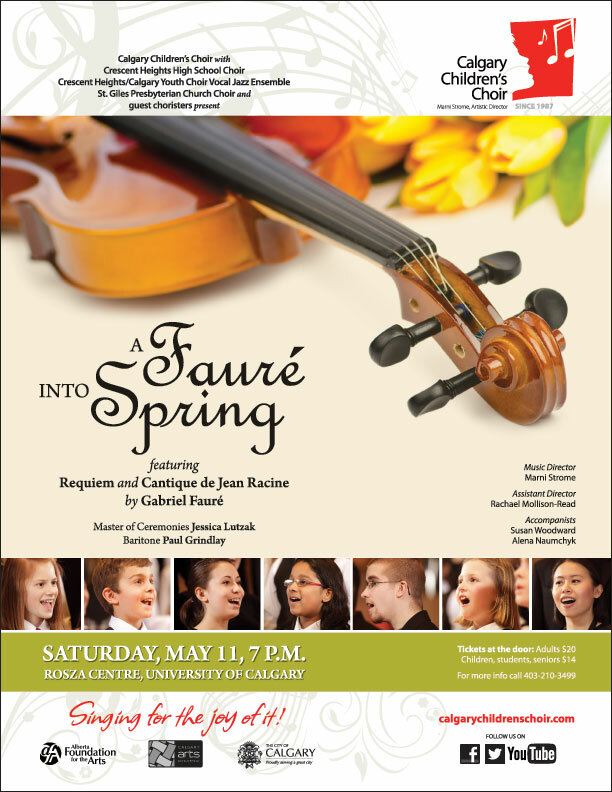 Which Calgary Children’s Choir event are you most excited for this spring/summer? Tell us in the comments below!